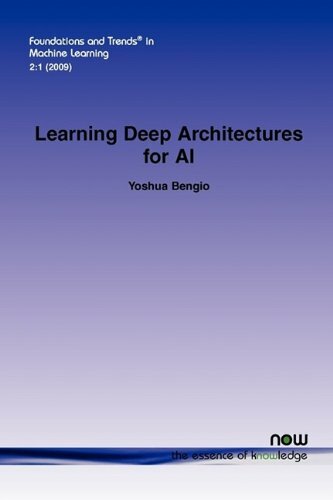 This monograph discusses the motivations and principles regarding learning algorithms for deep architectures, in particular those exploiting as building blocks unsupervised learning of single-layer models such as Restricted Boltzmann Machines, used to construct deeper models such as Deep Belief Networks. The book provides a review of different approaches to classification, compares their performance on challenging data-sets, and draws conclusions on their applicability to realistic industrial problems. A wide variety of approaches has been taken. Tis is a set of introductory materials that covers most major aspects of modern machine learning (supervised and unsupervised learning, large margin methods, probabilistic modeling, etc.). It's focus is on broad applications with a rigorous backbone. This monograph provides the starting point to the literature that every engineer new to machine learning needs. It offers a basic and compact reference that describes key ideas and principles in simple terms and within a unified treatment.